Door entry and access control equipment from Intratone, one of Europe’s leading manufacturers, has been installed at over 900 different sites across Hounslow Council’s estate. 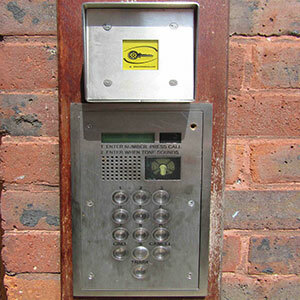 The access control systems across the Council’s residential and commercial portfolio had become obsolete with the desire to move from keys to a fob-based system. Residents had been complaining at the delays in receiving new keys – in some cases taking up to six weeks for them to be delivered. New fobs can now be obtained straight away by residents when visiting their local housing office through the new cloud-based technology. Since late 2016 the Intratone fob readers have been installed at low and high-rise apartment blocks and Council offices, commercial buildings and operational sites, and complaints have dropped significantly. Ian Williams, Electrical Engineer for Hounslow Council is in no doubt as to the benefits of the new Intratone proximity readers: “We hadn’t heard of Intratone before it was recommended by the installer. So far, we have been very impressed – although it is a sizeable investment for the Council initially, the build and technology of the readers means that they will last for at least ten years. The cloud-based fob-reader system has significantly enhanced control over who has access, for how long and to which properties. Because it is cloud-based, changes made to key fobs are almost immediate and can be facilitated from anywhere where there is internet access – whether that’s at a PC, laptop or a smartphone on site. “The simplicity of the database is such that some of our concierge and caretakers are being trained to manage the system themselves which frees up even more of the engineer’s time,” Ian adds. “With the older technology residents were also able to copy fobs in some local shops which did not give the council full control over who could access certain blocks.